Though Kharkiv was largely spared the violent protests that rocked Kyiv last month, ethnic tensions have since increased. Ukrainian nationalists and pro-Russian activists are facing off for control of the divided city. Psychology student Marc was walking in Rumarska Street, a central drag not far from where he lives in Kharkiv, Ukraine's second largest city, when he saw what he described as "people behaving like animals." "I saw unarmed people wearing black masks, helmets and bandages like those on Maidan, running away from an office and being shot at," Marc, who declined to give his last name, told DW from his campus located on Kharkiv's cavernous Freedom Square. Marc saw little more than that - he ducked away amidst the gunfire. But witnessing what appeared to him to be a massacre on Friday night (14.03.2014) has unnerved the Ukrainian-speaking teenager, who chain-smoked and scanned the street as he spoke with DW. Last weekend, two people died as rival political groups opened fire at an office housing far-right Ukrainian nationalist group Pravy Sektor in Kharkiv. DW visited the site of the incident and spoke to eyewitnesses and activists on both sides about what happened that night, reconstructing a story of increasing ethnic tensions in eastern Ukraine. Staff at the Rumarska Street building said that on that Friday night, a mixed group of pro-Russian protesters, bikers and members of the self-described Russian fight club Oplot gathered outside the building. Inside were a group of Ukrainian nationalists. Pro-Russian activists and the building's owner say some of them were bussed in from out of town. Accounts from those on site suggest that both sides were armed, but the nationalists opened fire first. The building's security guard said they shot out the window at the pro-Russians gathered outside, an account matching that of three pro-Russian leaders. By the time the building's owner, Alexei Popov, arrived, both sides were shooting as police watched on. According to Popov, the two sides were unevenly matched in the firefight that followed. Around 15-20 nationalists were concealed inside his building, and more than 200 pro-Russian activists were crowded in the narrow street outside. Popov told DW that the city's mayor eventually showed up to try to negotiate an end to the situation, talking with both sides until 5 a.m. before the nationalists agreed to come out. They were then taken into custody, where around 30 remained until the weekend, according to Pravy Sektor. The far-right group said that none of the pro-Russians involved were arrested and have demanded the detention of the Oplot members. On Saturday (15.03.2014), building owner Popov said that several of the pro-Russian activists returned to burn Pravy Sektor's office. Pro-Russian leaders said two of their comrades were killed in Friday's firefight. 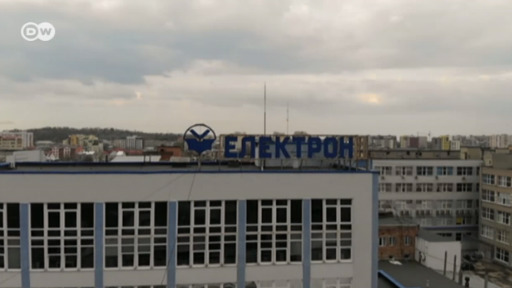 Pravy Sektor say they do not know who died in the incident, but have denounced the subsequent arrest of their members and blamed a pro-Russian mob for descending on the office and triggering the violence. Artem Skoropadsky, a spokesman for Pravy Sektor, said that given their relative weakness in Kharkiv, there was no way that they would have provoked the incident. "We are not doing anything that could be described as a provocation," said Skoropadsky, speaking in Kyiv. "We are under a lot of pressure from the Russian mass media, which will take any opportunity to smear us." While several crucial parts of the Rumarska Street incident remain contested, the firefight appeared to mark yet another escalation in the local political struggle between pro-Russian and pro-Maidan forces. The former is seeking greater autonomy for their region, while the latter aims to clean out remnants of former President Viktor Yanukovych's regime in the east. "Right now the civil cold war has broken down," said Alexandr S. Alexandrovskiy, a political consultant from Yanukovych's one-time ruling Party of the Regions, in relation to events both local and throughout Ukraine. "We are now moving into an active phase." Unlike in Kyiv, where dozens of protesters and scores of police died in February's clashes, Kharkiv and eastern Ukraine have largely been spared fatalities during the political unrest that has gripped the country since last November. But the areas have not been spared political turmoil. Each side blames the other for violence in the city, which is located just 40 kilometers (about 25 miles) from the Russian border. Riot police stand protecting government headquarters in the central Freedom Square, which has been occupied by both pro-Maidan protesters and pro-Russian crowds in recent weeks. Pro-Russian activists have said the cycle of violence was sparked by the release of a local Pravy Sektor leader from prison under an amnesty in early March. Accounts from locals, however, differ. They say that after attacks on the office of the Ukrainian nationalists, which was originally used by Maidan, by pro-Russians, Pravy Sektor bussed in reinforcements from elsewhere in Ukraine and later took control of the Rumarska Street space. Some in Kharkiv have interpreted the violence as being part of a struggle for control and influence following the February revolution in Kyiv. Based on accounts given to DW, both sides appear to have drafted supporters from outside the city in their attempt to win control of Kharkiv's streets. Caught between them are locals, most of whom have divided loyalties. "The city is neutral," said Dmitri, a sociology student at the University of Kharkiv, who also declined to give his last name. "We support European values but have a connection to Russia." "It's only a small number of those who are strongly for and against - the situation is undetermined." Can the National Guard save Ukraine?